Wonderful unit located in the well maintained Raintree East Community! This adorable one bedroom unit offers over 900 square feet of living space, Great Room with Wood burning fireplace, Kitchen with granite counters, ample cabinetry for storage and includes all appliances. The very spacious bedroom has a large walk-in closet and vanity area with access to the Full Bathroom. 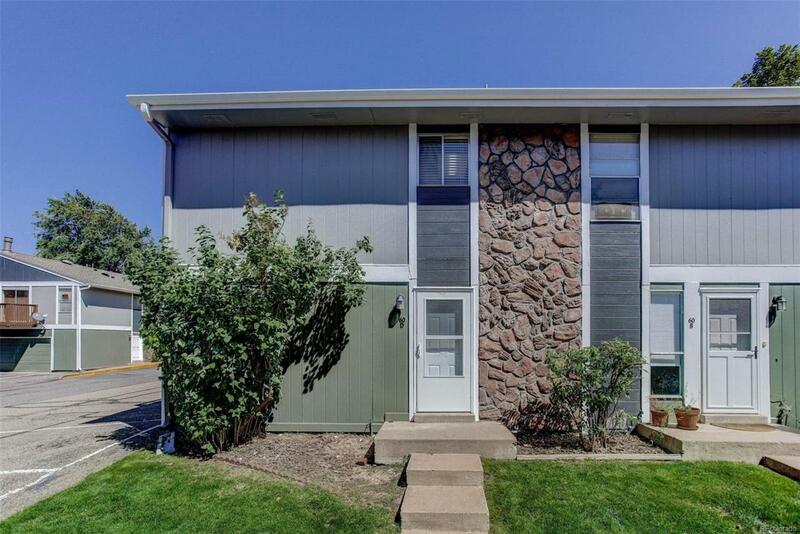 You can enjoy the Colorado climate as you relax on the newer balcony with newer patio doors and you can access from the Great Room or the Bedroom. Other features you will truly appreciate are the stackable washer and dryer, central air conditioning and one car attached garage, storage area and all new exterior paint. You will enjoy the amenities of the community which include the community pool, Tennis Courts and the Green Spaces throughout the complex. This is the perfect place to be you new home! Property is being sold in AS-IS Condition!